Pattern, I make it myself! In current project, I am going to R&D sewing ribbon on collar. 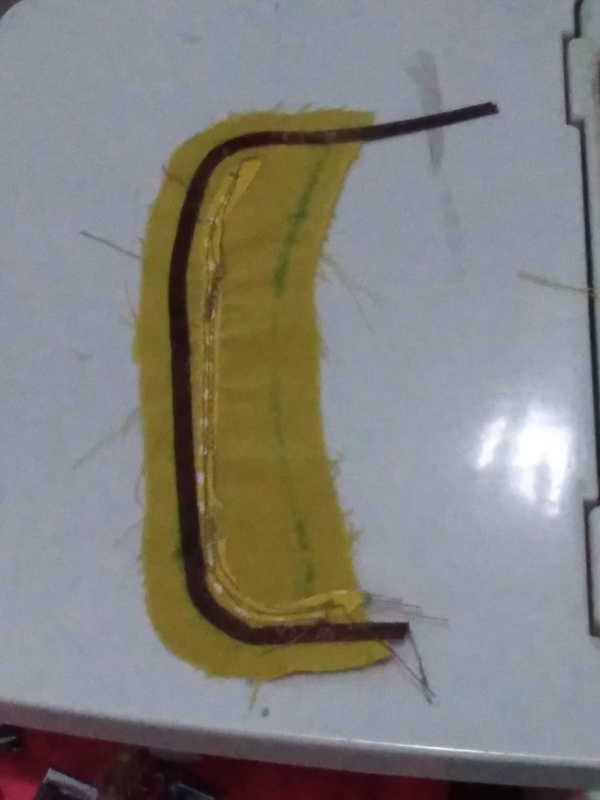 It is quite challenging for me because the curve side make it difficult for ribbon to follow when is being sewn. I forgot from where I got the idea but here I am using FABRIC GLUE to attach the ribbon on. It is under process. I have not known if the pen marker can be washed. I have not know if it’s better to sew it. It is a very raw idea under process. I will write more about this later. The first step was just glue the ribbon then iron it to make the ribbon stay. Do it gradually. Apply glue then iron, apply again and iron again until we finish. It may need some practice to make it perfect. How Many Times Do You Practice Before Making Real Project?